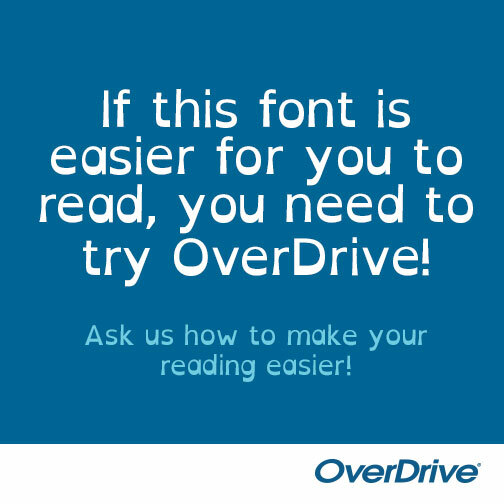 OverDrive offers a special font option designed to make text easier to read for dyslexic users. When the dyslexic font is selected, each letter is unique, and both letters and words have extra distance between them. Also, capital letters are bolder, and each letter is bottom-weighted. Visit this OverDrive help article for steps to turn on the dyslexic font on the OverDrive website, in the original OverDrive mobile app, and in the browser-based OverDrive Read format. For more information on the dyslexic font, visit the OpenDyslexic website at opendyslexic.org.